Today must be JimONLight.com and Friends day. 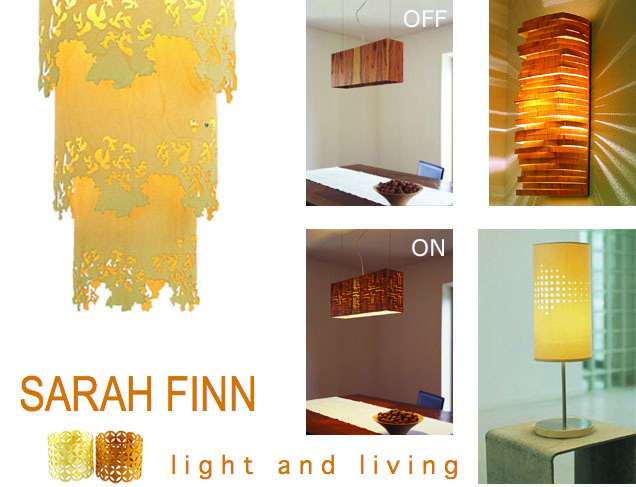 My friend Jules sent me a link to the luminaire work of Sarah Finn, a designer that works with intricate laser cuts into wood – making some beautiful works! Trained as an architect at the University of Berlin, she now designs a range of “light and living” objects from her offices in a farmhouse near the Alps. 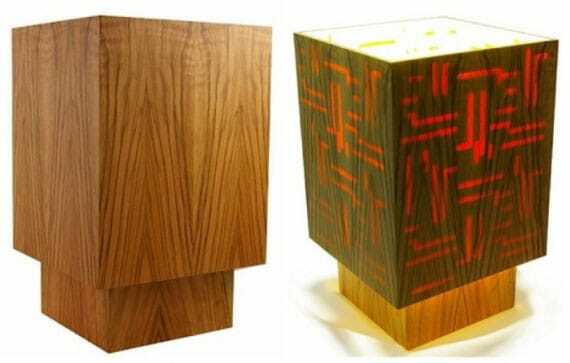 She works with cherry, maple, elm, olive and alpine pine to create her range of laser-cut gemoetric, patterned lamps. Sarah has some work for sale at Hygge Life and in A+R Store. Check her out. The price is decent for a nice piece of designer lighting.